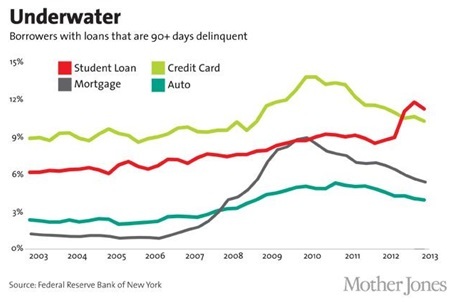 Student debt in America is an oft-talked about problem crippling the nation’s rising generation. With student debt now totaling over $1 trillion, there has been little done to alleviate this issue and increase student access to affordable and effective education. 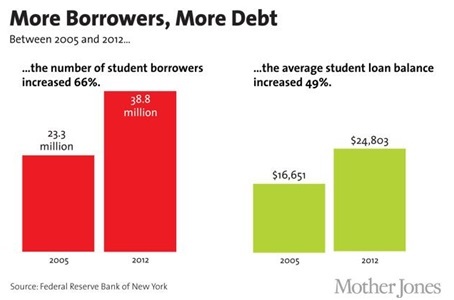 In the past decade, not only has the number of student borrowers increased, over 66% to a total of 38.3 million (in 2012), but also the average student loan balance has increased over 49%, to $24,803.1 The cost of higher education is far outpacing inflation rates, making higher education increasingly unattainable for the average American. For those who do graduate, they are chained to this student debt during the most formative years of their lives, as they try to launch careers, support themselves, and contribute to their local and global economies. 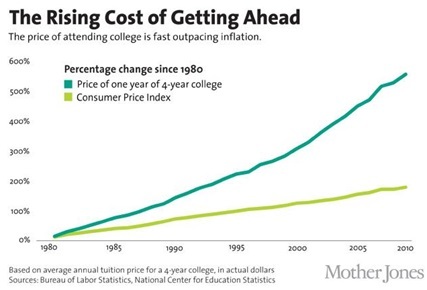 How can we bring higher education to the masses, without pushing them into this deepening debt crisis? Policy makers and independent universities have contemplated a variety of solutions, including altering financial aid structures and lowering student loan interest rates, but none of these solutions address the problem on a holistic level. A new way of approaching this problem with a wide and open eye is through the integration of innovative tuition policies, the use of technology to lower delivery cost, and a focus on experiential learning to increase post-graduation preparedness. The “pay what you can afford” business model has been tested in many industries outside of education – in food products and services, such as through the Panera Cares cafes, in the music and theater industries (Radio Head), and in technology (Humble Bundle). This model relies on an honor system whereby customers truly pay what they can afford. Sometimes customers are told the “true” value of the product or service they purchase, as a reference; other times the decision is completely up to them. When done well, this system allows those more fortunate to cover the costs for those who cannot pay full “value”, and for each consumer to take ownership of their purchase and decision. In this way this model has quite an entrepreneurial spirit. Sansori, a new experiential education company, is using this “pay what you can afford” model for tuition to bring a new kind of education to all those who seek it. In its premier program, the Sansori Bridge Year, Sansori students cover their cost of living throughout the 9-month experience, but for tuition, simply pay what they can afford at the end of the program. Sansori is changing how students (of all ages) learn, what they get out of it, and what that education costs. The Sansori Bridge Year is for all those seeking clarity on their path to financial sustainability and social responsibility. Accepting students of all ages 15+, this program could be used as a sabbatical, career change, gap year, or as a supplement or replacement to traditional college or graduate schools. The Bridge Year allows participants to learn directly through social enterprise job training, storytelling, leadership, problem solving, cultural immersion, and mind body connection. 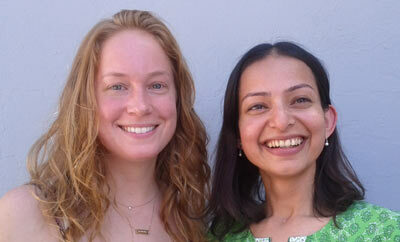 Sansori further reduces cost by streamlining the delivery of services to students. For 7 of the 9 months in the Bridge Year, participants live in their home cities, taking Sansori’s online business seminars, which focus on social entrepreneurship, and working as a practicum student at a local social enterprise or B-corp. Through this experience, students discover how businesses combine profit with environmental and social responsibility, and in turn learn how they can pursue a meaningful livelihood themselves. The rise of online education has exploded in recent years, with MOOCS offered on sites like Udemy, Coursera, iTunes U, and directly through several private and public universities. S. Kristin Kim, the founder of Sansori, was the President of AllLearn, an online educational venture between Oxford, Yale, and Stanford Universities, servicing over 11,000 students in more than 75 countries. Online courses provide the greatest benefit when the online learning is combined with real-life experiences or self-directed research – fostering a more experiential format of learning, such as in the Sansori program. To address the student debt crisis, worldwide, it is imperative to focus not only on tuition and financial aid models, but also on a holistic learning experience. Sustainable and affordable tuition models are essential, but it is also key that the learning experience be tailored to fit an intergenerational group of mixed interests, where each student is allowed the space to discover for themselves, how they can pursue their passions and financially support themselves. Through such experience, students will learn with more clarity and truly grasp the tools they need for long-term sustainability, both personally and professionally.